Vertiginous place of twists. The vertigo in walking, loosing the way. Giant swifts cruise from the pipes. Strait of worlds. Worlds of moving folk. For-dreamed, for-Babelled. 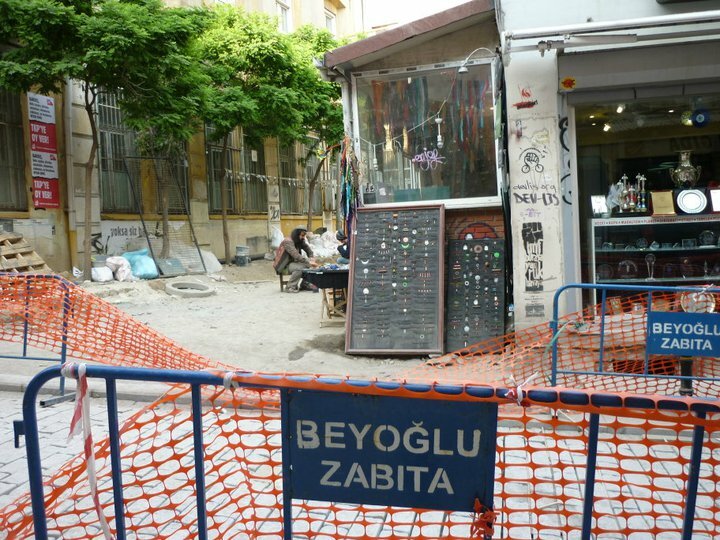 In Beyoğlu, under the squawk and racket of the forked-tailed birds, the human hum: parading youths, Palestinian rubbish collectors, melancholy fiddlers, beggar children armed with kazus, the neck-craned tourists. Boho meets business meets cats and geese in the bar. That famous dilapidated colour: the overgrown greens and pinks in the rubble of ottoman chic. On the bridges tiny pieces of silver – migrating sprats – are pulled thrice a minute. Men wash before kneeling. Sonorous air, full of the calls to prayer echoing back and forth over the big blue strait. The gardeners in Yildiz park are too sunned and skinny. Furiously planting marigolds in rapid-spreading rashes of orange, the beds freshly coloured. Too fresh. They sling their crates in the back of the van and speed off to the next star-shaped border. A sweating glasshouse; shambled and overgrown with bird of paradise plants. Through the dim cypress and pine the Bosphorus’s live blue. Peace is maintained by the police guard at the entrance. Beneath Yildiz, Istanbul Modern is also policed. No art ushers, only G4S security guards. 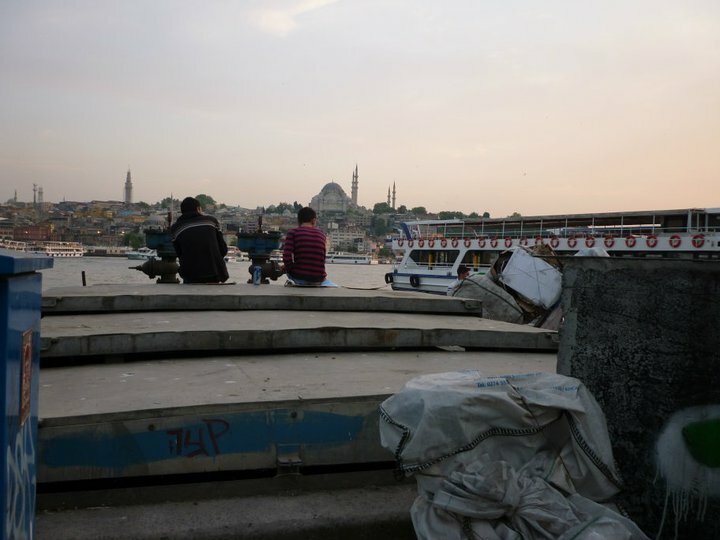 Guarding art, keeping out the chaos of live cultures: bodies, enzymes, fumes of food and motors, the noisy hum and lap of boat-driven waves.